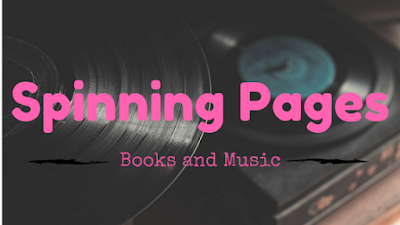 This week on Spinning Pages take us down a dark road of hatred and revenge, covering a span of time that traverses both the path and present. Keep reading to see this week's book and lyric pairing. If you read my review earlier in the week, then you are aware that I did not like A Darkly Beating Heart (at all). In fact, I ended up DNF-ing because it was just, well, bad. I wanted to like it, as it sounded interesting, I mean who doesn't like a revenge book, it's just that this one felt completely purposeless. All that aside, the very little I did make it through made me think of the above song. 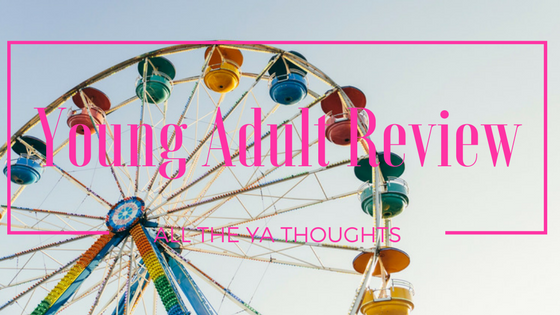 If you're curious for more details on why A Darkly Beating Heart was not for me, then check out my review. This week's song selection is in thanks to my amazing yet terrible ability to remember songs and lyrics, even from ones that I don't like...I'll be honest, it feels incredibly weird to use a Taylor Swift song for this post; like very wrong/weird. The Belles by Dhonielle Clayton, February 6, 2018. Published by Disney-Hyperion. 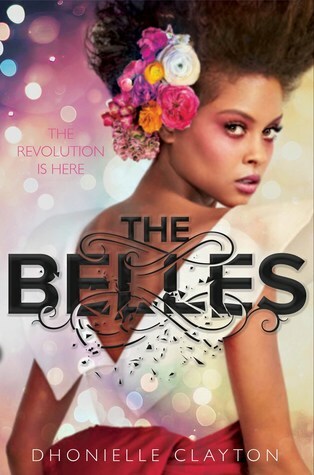 I don't know how Dhonielle Clayton's The Belles has not been on my radar until recently, but the premise sounds really promising. I'm really hoping that my library will acquire a copy of this one as it sounds like something I would really enjoy!! Tell me: What are your thoughts on The Belles? 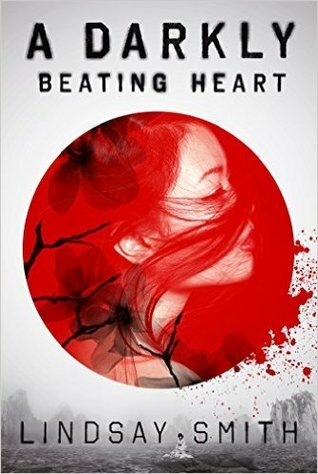 A Darkly Beating Heart by Lindsay Smith, October 25, 2016. 272 pages. Published by Roaring Brook Press. Source: ARC from publisher. Uncle Satori says mastery is a well-worn path. I was really hoping that this would be an enjoyable read as it has time travel and is set in Japan, but alas this book was not good. NOT AT ALL. I have given A Darkly Beating Heart three separate chances to pull me in over the course of two years (I kid you not). Yet each time I cracked open the book, it is always the same thing that turns me away time and again. The lack of context. When I say this book lacked context, I mean that you have Reiko, this incredibly angry and volatile character, with zero reasons given for her attitude. Sure, there's the whole building the story and character arc, but when the entire premise just feels like a pointless rage fest then you can count me out. There is only one answer that I need when it comes to this book: Why! Why did she feel the need to "carve" her pain upon her heart! Even though I am officially over this book and not willing it give it a fourth chance, I still would like to know what pushed her so far over the edge. AS much as I want to know that answer, I just do not care enough to bother reading further to find out if it is ever brought to light. I usually really enjoy books about revenge (Count of Monte Cristo being my absolute favorite revenge book), so to say this was disappointing for a revenge book would be an understatement. It would have been a more readable book if the author had started off with why Reiko was bent on revenge and filled with a poisonous hatred, you know! 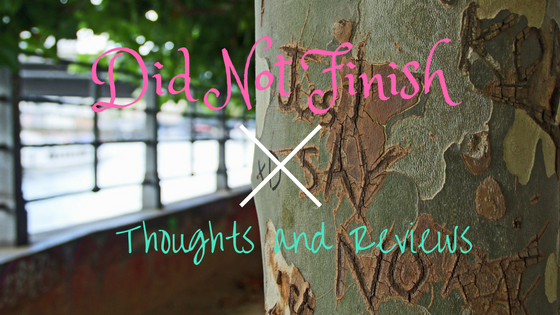 Final Verdict: A Darkly Beating Heart- Is neither entertaining nor a profitable read to spend your time on. An advanced copy of this book was received for review consideration from the publisher. All thoughts are my own. This week on Spinning Pages take us deep into the Marvel U where things are not going all that well for the Sorcerer Supreme as things take a turn for the worse in the realms of magic. Given that Doctor Strange sees two levels, the real world and that of the mystical world, I thought these lyrics were a perfect selection. They also just really work for the first five volumes of the comic that are included in Way of the Weird; especially when you think of what is going to happen (trust me, you'd rather read all the excitement firsthand). If you're looking for a more in-depth look at why I found Doctor Strange: Way of the Weird to be worth reading, then hop on over to my review to see my full thoughts. Hey don't forget, you can give Vixx's Light Up the Darkness a listen below!! 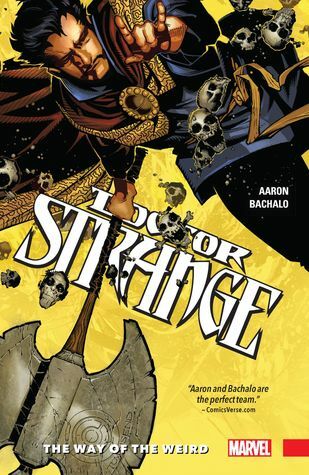 Doctor Strange: Way of the Weird (Doctor Strange vol 1-5) by Jason Aaron, Chris Bachalo (Penciler and Colorist), Tim Townsend (Inker), Al Vey (Inker), Mark Irwin (Inker), John Livesay (Inker), Wayne Faucher (Inker), Victor Olazaba (Inker) , Jaime Mendoza (Inker), Cory Petit (Letterer), May 10, 2016. 136 pages. Published by Marvel Comics. Source: Borrowed from Library. Only Doctor Strange can protect our world from the darkness beyond -- now, witness the full toll that constant struggle takes on Earth's Sorcerer Supreme! Every spell cast comes at a cost, but what happens when Strange falls behind on his tab? Find out as the good doctor wakes up somewhere very odd, nearly naked -- with no spell books, no weapons and no memory of how he got there...or why all the monsters are chasing him! And as a new visitor to Strange's Sanctum Sanctorum learns one wrong door can lead to oblivion, a magic circle of Strange's friends and allies are about to face their greatest threat. Dark forces are destroying everything mystical in the multiverse, and their sights are set on this dimension. Magic's days are numbered, and Doctor Strange is not ready! 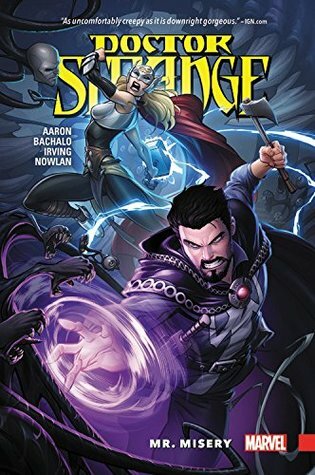 Last year, I stumbled upon the first two volumes of Doctor Strange, well the more current reboot, while at the library and decided that I needed to see Doctor Strange set within his own comic series and not just the small roles he played in other Marvel comics that I have read. It was really nice seeing Doctor Strange in his own comic. It definitely gave a fuller context to the sphere in which he walks within the Marvel U. It always gave me a good chance to really get to know his character and what makes him different from other superheroes in the same universe as him. It seems a shame that my first, not affiliated with a team or as a guest, encounter with the Sorcerer Supreme comes at one of the darkest points in his career: the end of magic. Yet, it also seems like the best time to jump onboard as it is going to push the story in a new and different direction. There is one very important reason that tops my list of reasons this was such an interesting read. So what is that one thing? Easy! I liked how the first couple of volumes introduced the reader to Doctor Strange's ability and the advantage and disadvantages of being the Sorcerer Supreme. It was interesting because you don't often see in comic books characters whose powers usage comes at a great cost to them physically and mentally. If you want an interesting mainstream character to learn about, this I highly recommend this one. I'll only talk about the main arc briefly as it encompasses so much of the story and is really something that is better read straight from the comic itself. I really enjoyed the gradual progression of the arc that kicks off in the first five volumes; they just did a really great job setting it up both visually and worldbuilding-wise. Just so you know, there are quite a few scenes scattered throughout the all the volumes that are gruesome and dark, so, if you don't like creepy creatures or gore, then this probably would not be the comic for you. There was something about the art that I really liked. It could have been that it reminded me, style-wise, of a comic series I read years ago. Or it could just be the fact that it really felt like Doctor Strange was off in his own world as the style seemed so different from some of the other Marvel titles I have read in the past. Either way, it really just worked for the what was happening. Final Verdict: Doctor Strange: Way of the Weird- I'm really excited to see where this arc will end and how it will reshape Doctor Strange's role within the MU. I would definitely recommend this if you want a different perspective on the character from that of which was shown in the movie or if you just want to read more about him. Doctor Strange: Mr. Misery (Doctor Strange vol 4 [17-20]) by Jason Aaron (Writer), Frazer Irving (Illustrator), Kevin Nowlan (Illustrator), Chris Bachalo (Illustrator), Patrick Brown (Illustrator), October 3, 2017. Published by Marvel Comics. As magic faced its last days, Mr. Misery helped Doctor Strange defeat the Empirikul. But that doesn't make Misery a hero. Not one bit. Now the nightmarish creature is about to show Strange the full meaning of his name - and he'll do it by visiting pain and suffering on one of the Doc's closest allies! The Sorcerer Supreme won't stand for that -but to bring the thunder down on Misery, he needs a little help from Thor! Then, Clea walks back into Doctor Strange's life just as he's picking up the pieces from the worst beating he's ever taken. Is she there to make things all better -or will she make that battle feel like a walk in the park for Stephen? Plus: Savor the debut of the Sorcerers Supreme! Even though I'm only just now getting around to posting my thoughts on the first volume of Doctor Strange (volumes 1-5 for the curious), I have already read volumes 2 & 3, so, I, of course, am really excited to see what will happen next. It has been a roller coaster, mainly downs, for Doctor Strange since the arc began in Way of the Weird. I only hope that they can continue to bring this arc towards the next stage without ruining what they have accomplished thus far. Only time will tell though. Have you read Doctor Strange? What's your favorite comic book series? 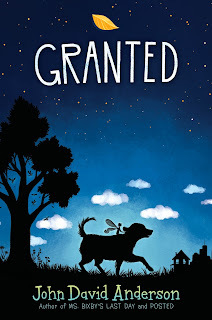 I am so excited to be talking about John David Anderson's newest middle-grade book Granted! You're most likely aware of this fact, but I am a huge fan of his writing and cannot wait for y'all to learn more about his book. I thought it would be fun to pair up Granted with some song lyrics! While it is likely that I will pick another set of lyrics after I get a chance to read it, these are the ones that make me think of the premise of the book. Have you seen them come true? Can you believe it? I definitely cannot wait to see what is in store for Ophelia Delphinium Fidgets as she begins her work as a granter. You can learn more about John David Anderson's newest book below and watch April's mv for Dream Candy, too!! Granted by John David Anderson, February 13, 2018. Published by Walden Pond Press. 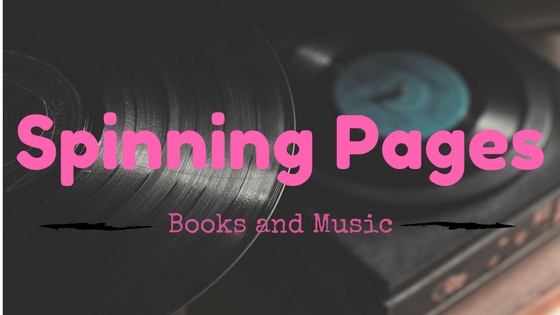 This week on Spinning Pages take us from Mississippi all the way to Scotland as Dylan is dragged out of the country for her sister's wedding and a blossoming relationship of her own; all while contending with the tv crew following their every move. There was just something about this book that made me think of the Dixie Chicks' Everybody Knows. It may have been the whole reality tv angle or it could have been how Dylan and Dusty, and even their mom to a point, didn't really understand what was going on behind the mask they each wore. There was one other song I considered using, but in the end, I went with my first choice because it felt like it belonged with the book. Especially the lyrics when you look at them in comparison with Prince in Disguise and the characters that fill it. 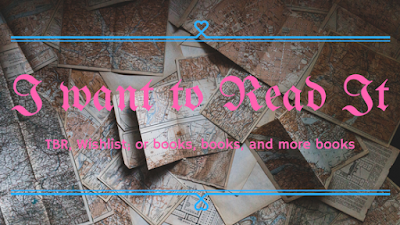 You can see my thoughts on Stephanie Kate Strohm's Prince in Disguise by checking out my review. If you're unfamiliar with the Dixie Chicks' Everybody Knows, then feel free to listen to the audio of it below!! Sadly, there isn't a music video for it. 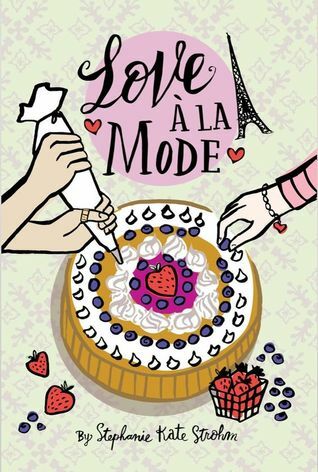 Love à la Mode by Stephanie Kate Stromh, November 27, 2018. 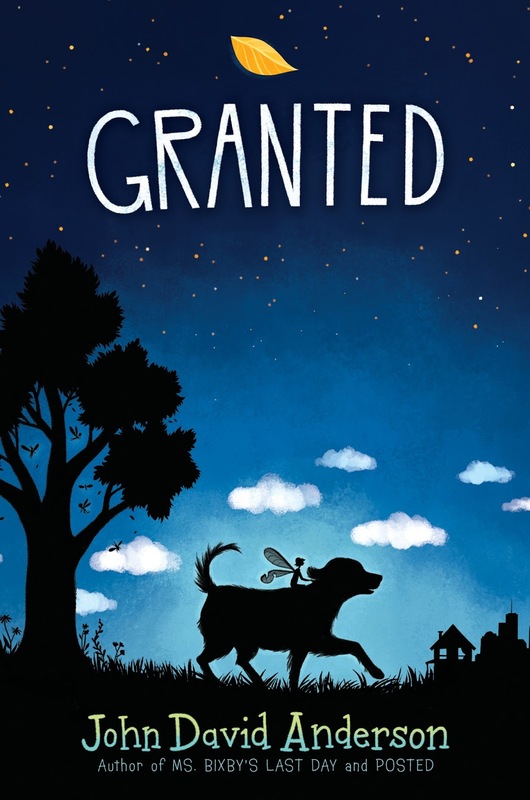 Published by Disney-Hyperion. Even though I only liked, not loved, Prince in Disguise, I am willing to give the author chance. Besides, it could be interesting to read about two wannabe chefs and their trials and tribulations in Paris. 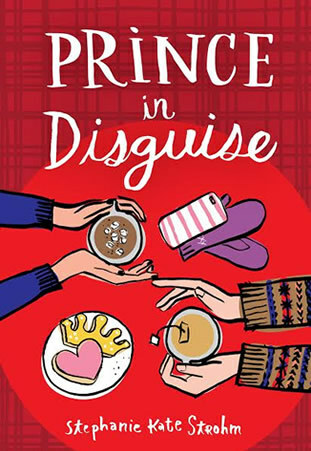 Prince in Disguise by Stephanie Kate Strohm, December 19, 2017. 320 pages. Published by Disney-Hyperion. Source: Publisher. Someday I want to live in a place where I never hear “You’re Dusty’s sister?” ever again.Life is real enough for Dylan—especially as the ordinary younger sister of Dusty, former Miss Mississippi and the most perfect, popular girl in Tupelo. But when Dusty wins the hand of the handsome Scottish laird-to-be Ronan on the TRC television network’s crown jewel, Prince in Disguise, Dylan has to face a different kind of reality: reality TV. Tears coursed down my face as I tried to fight through the pain. Somehow, I have read more contemporary books this year than anything else...with the exception of comics. I'll be honest, my feelings are very neutral on this one. It wasn't a 'wow' me type of book but it was not a complete dud either. Okay, so I don't watch reality TV, like, at all, so the whole idea of Dylan's sister being on a reality show was weird. While I know this is just a book, that happens to have a reality show angle, it is still weird to think people actually agree to things like that, you know. Especially if the producers are anything like the one in the book. I want to talk about one of the things I did enjoy about Prince in Disguise. Dylan and Dusty. Even though they did not get along all that well, I thought they were actually a really great sister combination; they may have argued but in the end, they were there for each other (be it for firm advice or sisterly defense). Their relationship wasn't perfect but it definitely felt like the author understood the strange dynamics that make up sisterly bonds. I guess the question is, why did I not like it more than I did. Well, that would come down to a couple reasons. Even though at times I enjoyed the sibling dynamics between Dylan and Dusty, I just could not really get into the duel romance plot that ran through the book. At times, it felt really rushed and like maybe Dylan and Jamie's relationship evolved too quickly. The other thing would be the reality show angle. It was rather disturbing the lengths the crew went through to get what they wanted for the show. As to the writing- There are two things I felt the author captured really well with this one. The relationship, tumultuous at times, between the two sisters. 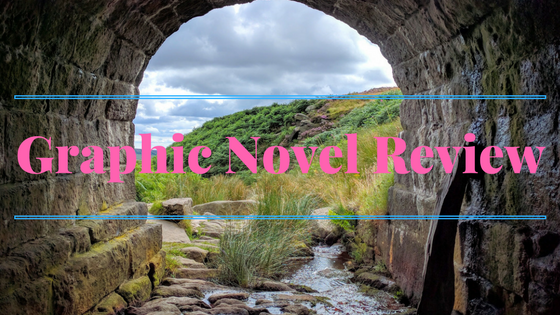 I also thought she did quite well with capturing the southern and Scottish accents of the main characters; even though I was just reading, I could practically hear both accents. The beginning of the book felt rather abrupt in the way the story was introduced; it made it a skosh difficult to get into the story at first as it felt like the continuation of a previous story-line rather than a standalone. Final Verdict: Prince in Disguise- It was cute, but I just didn't fall in love with it. A copy of this book was received for review consideration from the publisher. All thoughts are my own. 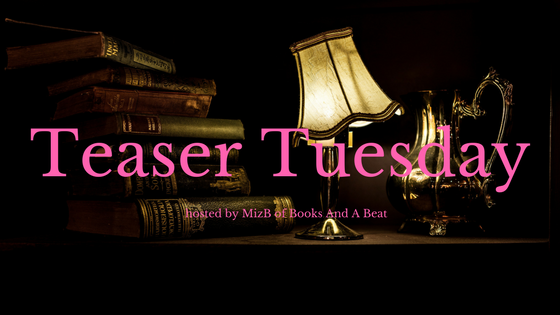 This week on Spinning Pages take us to rural Nebraska where someone is has gone on a murdering spree in this spine-chilling thriller. Keep reading to see what lyrics make me think of Stephanie Perkins' There's Someone Inside Your House!! In a way, it was both easy and difficult to select a set of lyrics for this book. On the one hand, I wanted a song that's lyrics could handle the feeling that Stephanie Perkins depicted as the terror closed in around the characters as they attempted to put an end to the murders. On the other hand, I wanted a song that was more than just a creepy song, you know. Personally, my favorite part of the above lyrics, paired with this book, is that it could fit both what the characters are feeling as well as that of the murderer. Hence why I selected BToB's Thriller. As I read through the translated lyrics, I knew that this would work. 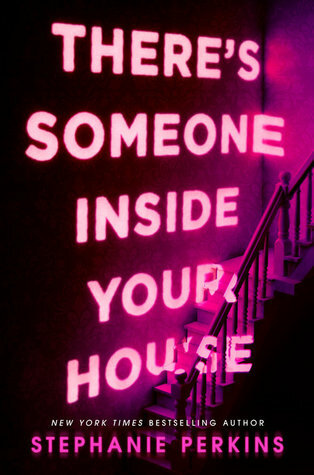 Even though I didn't enjoy There's Someone Inside Your House half as much as I'd hoped, there were some good points. 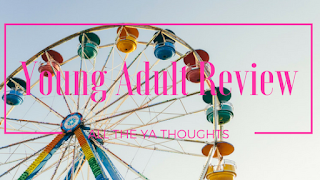 You can see my full thoughts on it by checking out my review. Don't forget to watch the music video for BToB's Thriller and tell me what you think of the song!!! !